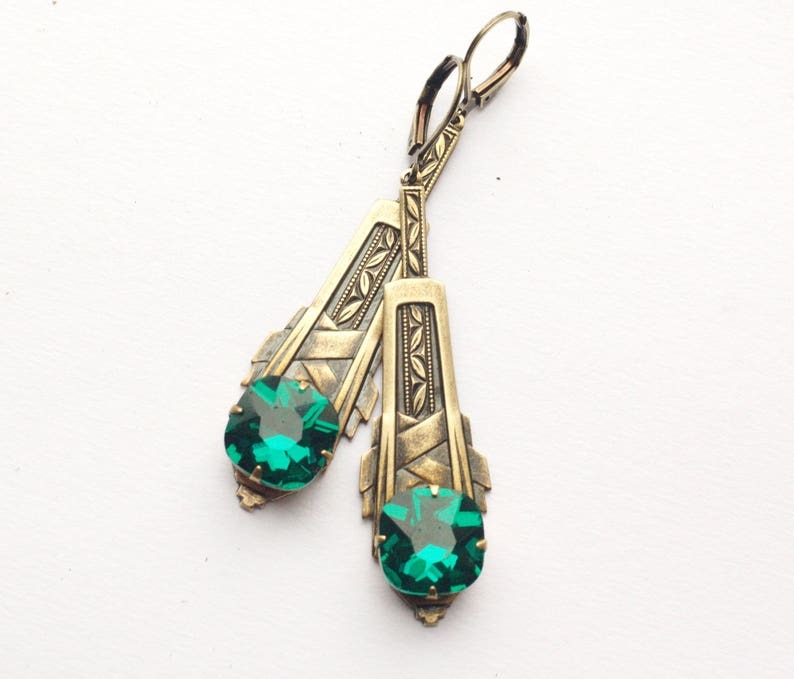 Vintage style handmade brass art deco emerald crystal earrings. The emerald crystals measure 12x12mm and the settings have been securely torch soldered to art deco American brass drops. Lever back earwires contain no nickel. For custom colors please contact me or add a note during checkout. Custom colors may take an additional two weeks processing time. Gorgeous art deco style, love them!